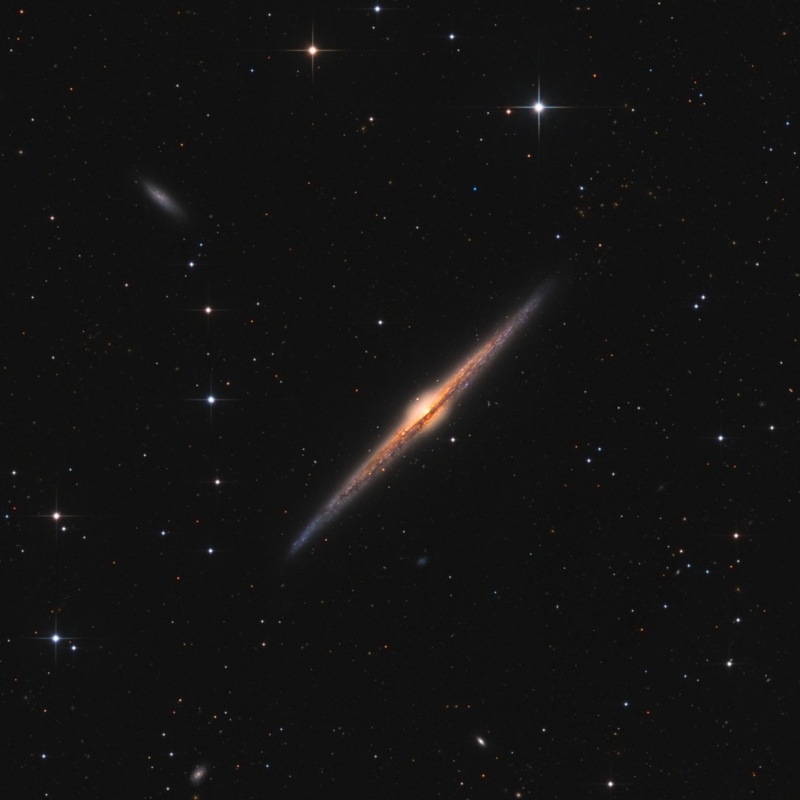 NGC 4565, also known as the Needle Galaxy, is an edge-on spiral galaxy approximately 40 million light years from Earth and is located in the constellation of Coma Berenices . 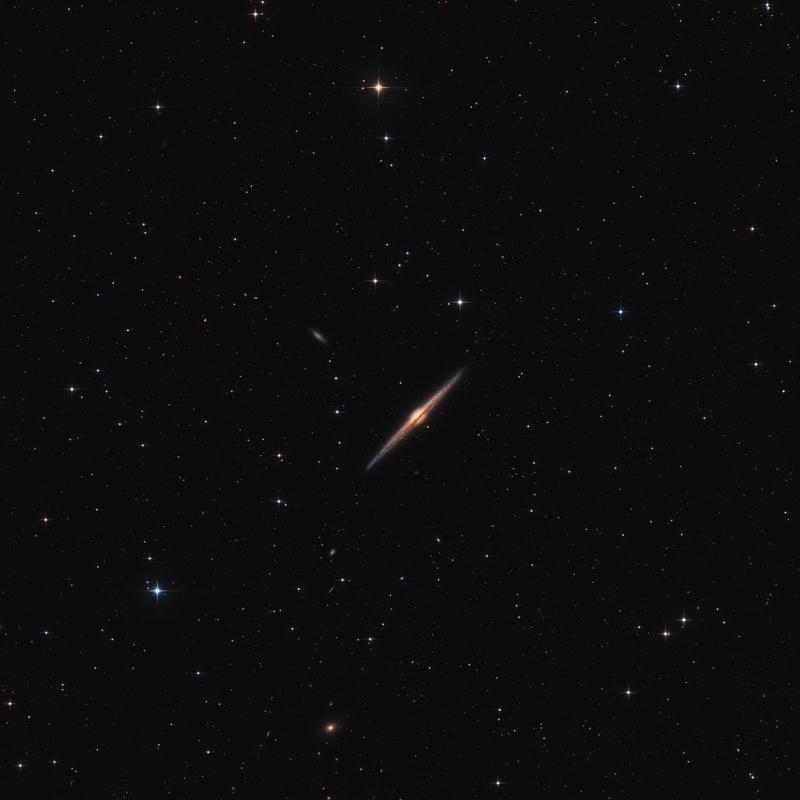 This image reveals the galaxy’s bulging central core cut by obscuring dust lanes. An assortment of background galaxies is included in the field of view, with neighboring galaxy NGC 4562 at the upper left. Astronomers believe that our own Milky Way galaxy would appear this thin if viewed edge-on. Ik dacht toch ook dat de foto niet hier in België was genomen toen ik hem voor de eerste keer zag; dit krijg je hier niet gedaan.